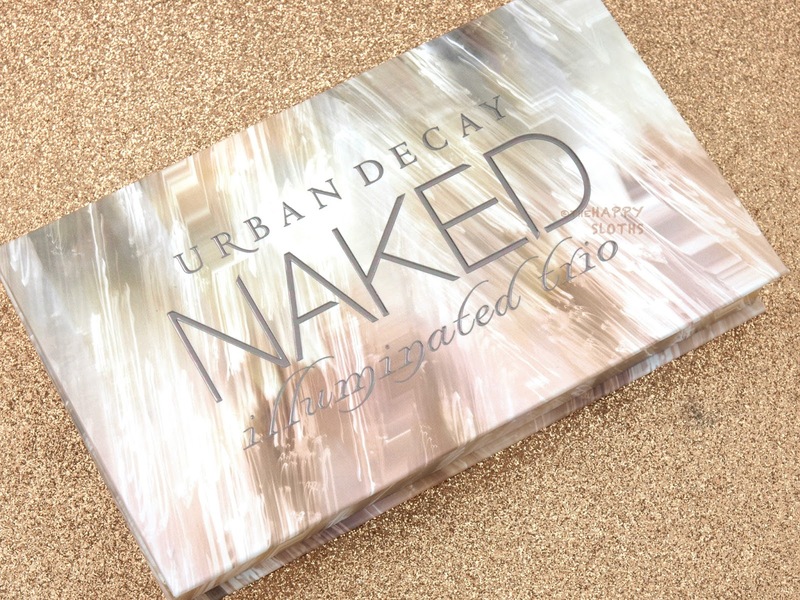 The Urban Decay Naked Illuminated Trio comes in a considerably large cardboard box printed with a pretty graphic design. The packaging looks very nice but I definitely wished that it was plastic instead of cardboard, simply because plastic holds up better over time. Inside are a large mirror and a duo-ended flat powder brush sized just right for the diameter of the powders. All the powders are dome-shaped and weigh 2.5 grams each. 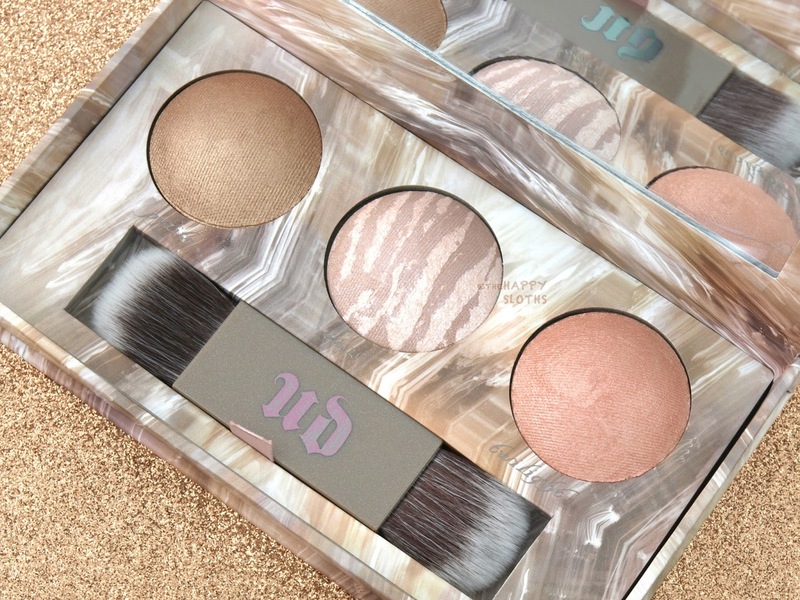 The powders in the Naked Illuminated Trio palette has a dry, baked texture. Pyrite is very nicely pigmented and relatively smooth but the other two shades are dialed high on the sparkle meter. 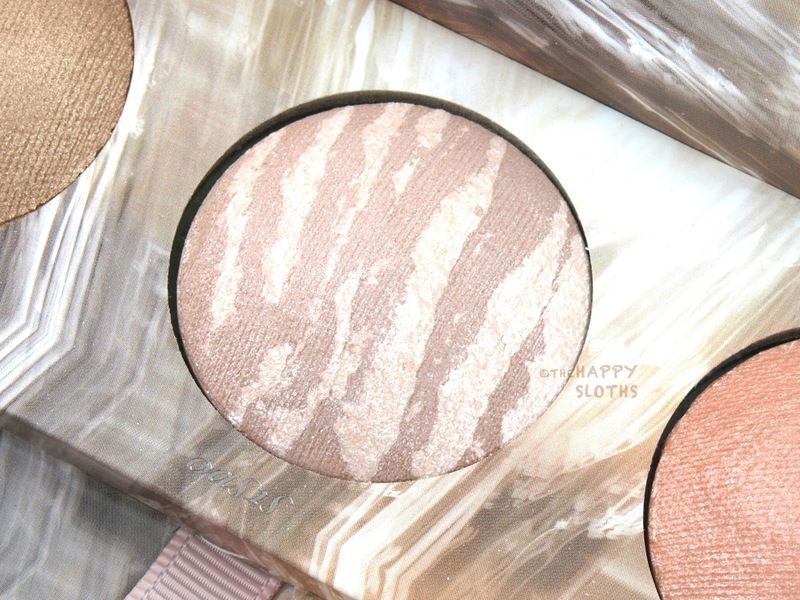 With barely any pigmentation in the formulation, the shades are just full-on shimmers. I personally prefer a more refined sheen as opposed to straight up glitters so I found Oasis and Twilight just a tad too much. They aren't chunky or gritty by any means but the formulation is slightly dusty and non-clingy. 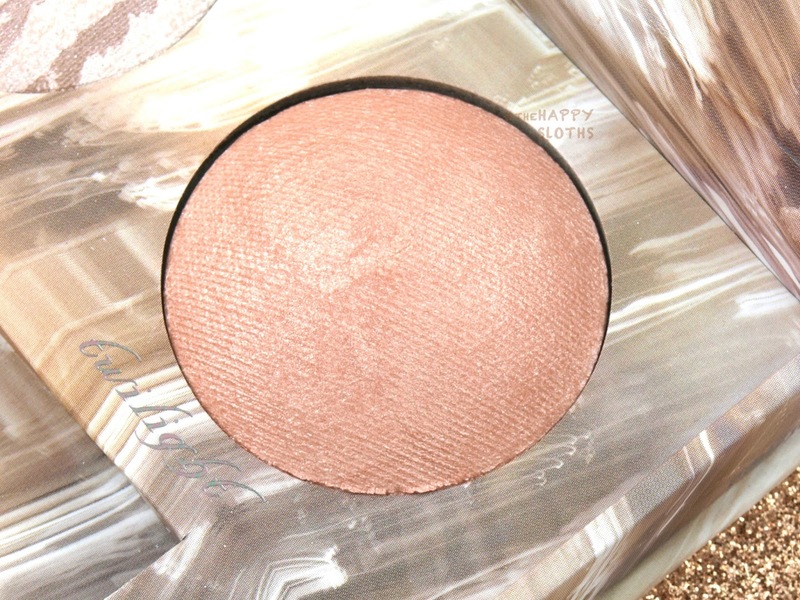 Thus, I found the drier texture of the two intense shimmers prone to transferring and smudging, wearing away very quickly. 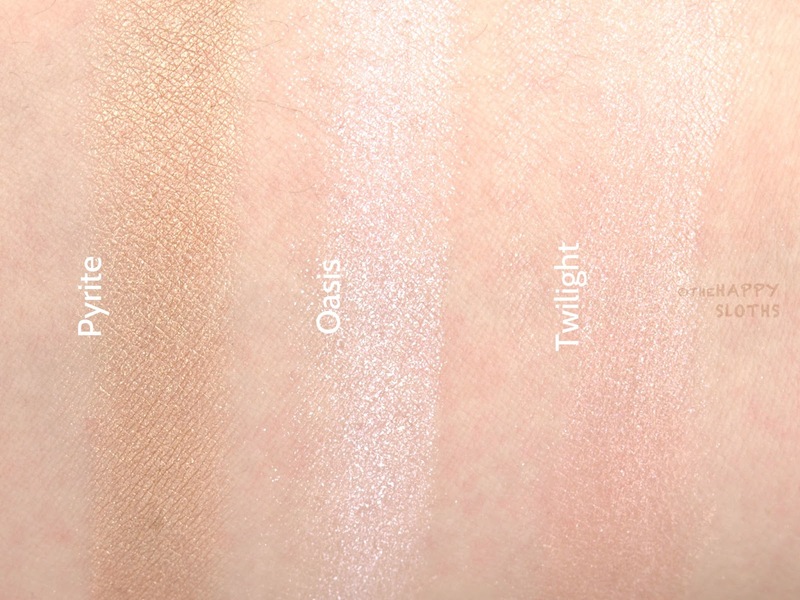 Below is a more detailed breakdown of the three shades. Pyrite: Sophisticated gold champagne; the formulation is very pigmented and smooth. Oasis: A swirl of soft taupe and cool-tone shimmers. 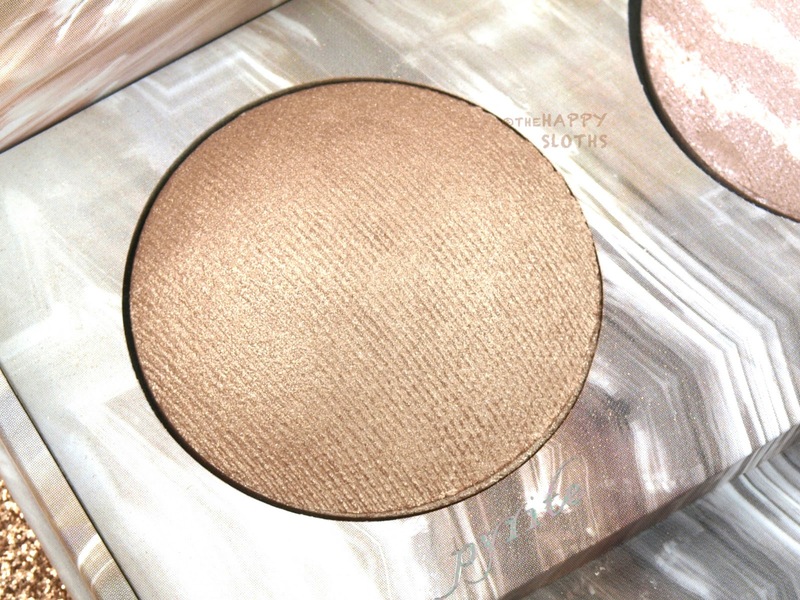 The two shades blend to form a very frosty silvery white that's mostly sparkles with very little pigmentation. Twilight: Soft peachy pink with a very sheer formulation; the powder is mostly shimmers.